Are you looking for a new project management tool or thinking of switching your current one? You have probably seen dozens of project management tools from the basic pen and paper to the fanciest enterprise software that promise you to manage your projects. We want to make the decision as easy as possible for you. We’ve put together a short guide that’ll help you decide which option suits you best. Are you tired of using clunky, complex enterprise tools like JIRA, Wrike, Clarizen, Zoho or SAP full of features that you never use? With Breeze you don’t have to. We built Breeze from real world experience managing hundreds of projects over the years. Breeze provides the best core functionality so you don’t have to use extra tools to get the job done. This has been our driving force behind Breeze. You’ll get awesome core features like realtime updates, tasks, todos, discussions and calendars, without having to navigate tons of features you don’t need. We built Breeze to look and feel like a simple board. If you want to enhance Breeze beyond to core project management functionality, you can do it using our extensions and add-ons. You can choose from software development extras like Github, Bitbucket or additional accounting functionality using Freshbooks. Maybe you are already using Toggl or Harvest for time tracking, we have an integration with them. Handy way to keep track of everything is to use Slack or Hipchat for chatting. It’s even possible to generate Gantt charts from your project board using Ganttile. For a full list of integrations check out the extras and add-ons page. Without a built-in ability to collaborate, it’s hard to keep track of what needs to be done, and eventually tasks start to slip through the cracks. Unlike other system Breeze is used by everyone - non technical people, from the business side to accountants. 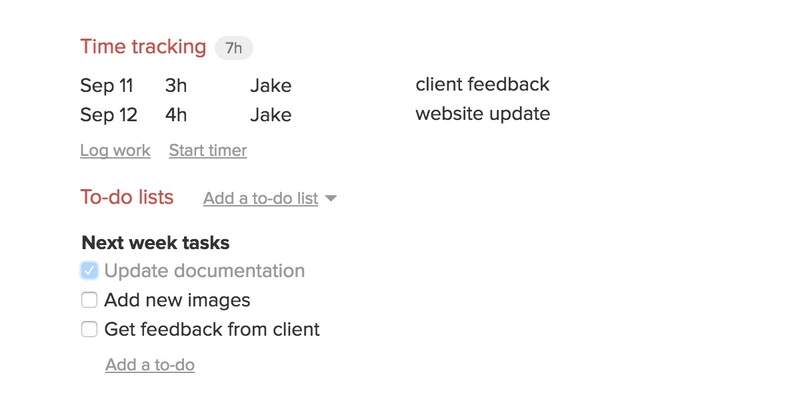 With Breeze, it’s easy to work together with your team to manage your projects. There are no complicated interface to insert replies, no statuses or workflows. 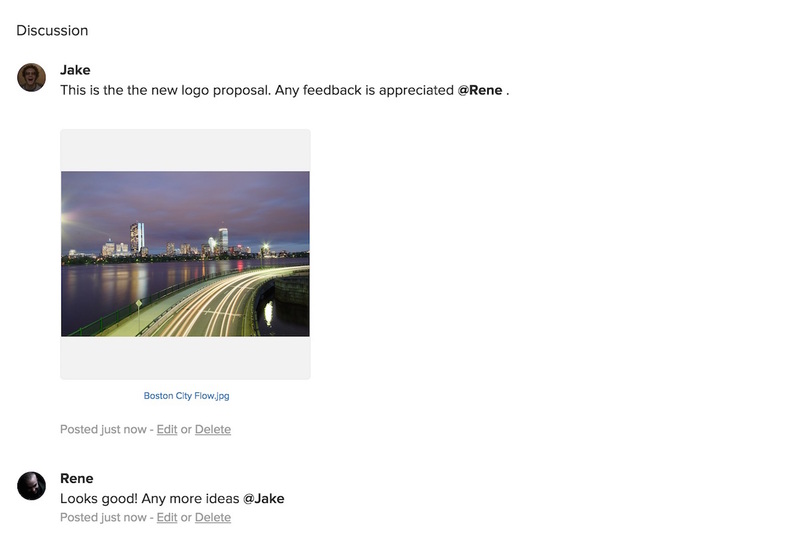 Simple discussions, drag and drop files, mention users to get their attention. Breeze has all the functionality to help make you and your team more productive. It can saves hours of wasted time, multiple by that by two,three or more users and that's a lot of lost time and money. As a small business and from previous experience, we understand how devastating that can be. And unlike complex enterprise tools there are no time sheets to fill out or complicated screens for todos, just a simple one click entry and your done. Breeze show you exactly what needs to be done. If our collaboration and productivity features will save you and your team just three hours per month then Breeze will more than pay for itself. See where your team spends time and effort. Keep your projects on time and budget. Breeze has simple reports in web and email, just point and click. No complicated macros, settings or filters. See what was done, by whom and how long it took. Breeze comes to you instead of you having to go to Breeze. We'll send you a weekly activity report email, showing everything you’ve logged for the previous week. It’s important for your business that you don’t lose billable time and the weekly reports will help getting you paid for your hard work. Ready to give Breeze a try? We hope this guide was useful to you and helps you to make a decision. Getting started is easy - you can get your whole team set up on Breeze in just a few minutes. We hope to see you in Breeze.